Taking inspiration from Iran, Australia and beyond, Garden Quartet creates contemporary music that is steeped in history and dares to explore the dualities of multiculturalism. Delicate Iranian poetry entwines as the Quartet delves into themes of place, home, love, loss and hope in original and cherished works. 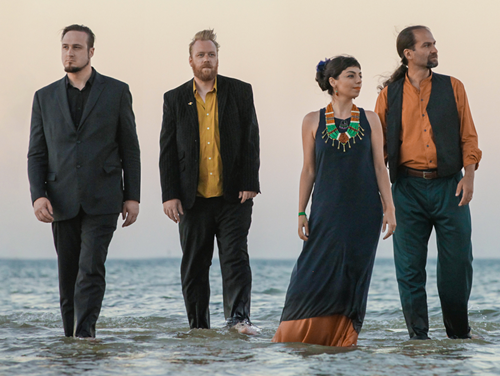 Led by kamancheh player and vocal virtuoso Gelareh Pour, Garden Quartet’s diverse influences carry wisdom and emotion into music that tugs at your heart. Eishan Ensemble – a dreamy eastern and jazz fusion with layered soundscapes driven by tar, guitar, clarinet, double bass and more. As brainchild of Iranian composer and world music specialist Hamed Sadeghi, Eishan’s debut offers a taste of music not often seen in the west, drawing influence from world musicians such as Anouar Brahem, Keyhan Kalhour, Le Trio Joubran and Ravi Sankhar.